Ramz is top of the Spotify charts with his track Barking, which has more than 13m streams to date. But that’s not stopped his mum from tweeting the likes of Stormzy on his behalf. 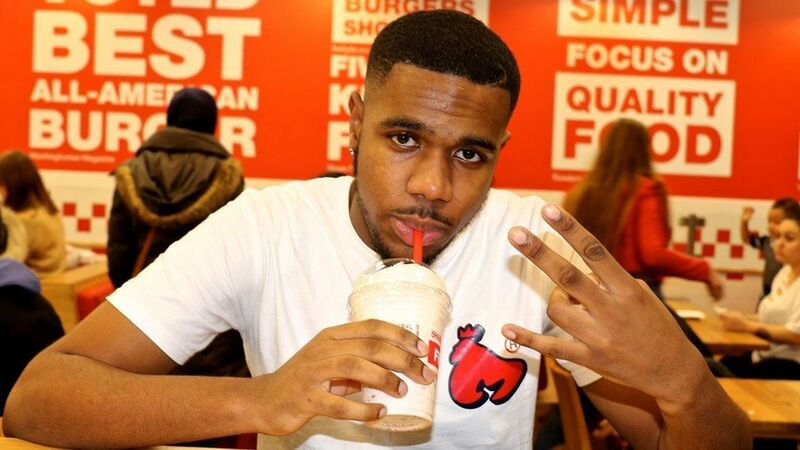 The rapper says his mum “doesn’t really know how to use Twitter” – but has been busy messaging some of grime’s elite. “She’s just been replying to a lot of my tweets,” Ramz tells Newsbeat. “She doesn’t know how to tweet properly which is kind of funny”. “She goes on tweets by people like Stormzy and Cadet and replies to what they’ve said,” Ramz says. Ramz’s rise has been quick. Barking, a track about meeting up with a girl in East London, was only uploaded to YouTube in September. It was recorded while he was still at university studying sports development. It’s now overtaken the likes of Eminem and Dua Lipa to top Spotify’s most-streamed chart. “I was planning to go into coaching children at football, working in Fulham,” Ramz says. “But things just went down a different path. But, he says, it has caused some confusion among international fans. “I don’t think a lot of people knew where Barking was before. It’s actually in East London. It’s quite far from where I’m from. Despite being partially responsible for putting the London suburb on the map, he says the only thing he likes to do there is “go to Nando’s”. As for what’s next, Ramz says he’s busy working on his debut EP.